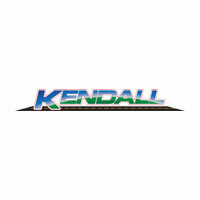 Kendall Dodge Chrysler Jeep Ram, where all we do is Discount! Over 1,428 Great Reviews & Counting! Kendall Dodge Chrysler Jeep Ram’s team of highly qualified technicians is focused on providing exceptional service in a timely manner. Whether changing your oil or replacing your brakes, we always maintain the highest standards for delivering the best service possible, every time! With a comprehensive inventory of Chrysler, Dodge and Jeep parts and accessories in stock, Kendall Dodge Chrysler Jeep Ram is prepared to answer your parts inquiries. Should we not carry a part that you request, we can most likely order that component and receive it within a timely manner. Contact our knowledgeable staff today with your questions! I want to thank all of the kendall Dodge repersentives that helped with my vehicle repairs, you exceeded my expectations. I was stuck in rough situation where my vehicles warranty provider, which in the end did not want to cover my vehicle's repairs. My lifters went bad, and the cost to repair my vehicle was beyond my price range.Lucky my tech rep. Steve Duque, and his service Management team Miguel Obregon and Tony Tamarit, step in and my time of distress and was able to not only fix my vehicle but cut the cost of the repairs. Me and my family thank you guys. With the support these guys soon me, I'm proud to be apart of the Dodge family. I had seen a 2016 Jeep Wrangler online and decided to go check it out. When I arrived Mr. Alberto Rodriguez gladly helped me look at it and took a test drive shortly after. I left and came back two days later ready to purchase it. Mr. Rodriguez extremely cordial with me and helped me through the whole process. We negotiated and came to an agreement. No hidden fees or anything of the sort. He was an transparent as humanly possible with me absolutely nothing was a surprise when we ran the numbers with Mr. Pita. Mr. Rene the manager during my time of purchase also helped me and got me the best deal possible along with Mr. Pita. I can honestly say this was the best car buying experience I’ve ever had, extremely professional and respectful from all the gentlemen that helped me. I would 100% recommend someone to this dealership and these salesmen. Although I didn’t buy a car, Gabriel Sotomayor treated me with exceptional respect. I went to another dealership before coming here and the salesman walked away from me. Gabriel sat down with me and broke down all the steps on buying the car. All in all, if you love Jeeps, this is the place to go. This dealership has a great communications protocol and excellent staff. I worked with Hector Collado and Jorge Brito. No pressure just the facts and always upfront. Today, I purchased my 2nd Jeep Wrangler in 3 years here at Kendall. Very comfortable and no pressure as well as a great inventory. Thank you to the entire staff on a deal well done. High praise guys!!! Purchased a Wrangler Sahara Unlimited from the dealership and salesman Jorge Brito and Chris Brant, both were very friendly and helpful. The Jeep looks and drives fantastic. Excellent experience so far :) Thanks to all.New review as of April 16, 2019 - another great experience today with Hector Collado and Jorge Brito. Just got my 2nd Jeep Wrangler here in 3 years. Traded the 2016 for a 2019.. Great experience with the dealership and staff. Highly recommend Kendall Jeep. Thank you guys for the non-pressure experience. At all times, Kendall Dodge Chrysler Jeep Ram stocks a great selection of new and used Jeep vehicles. Our inventory offers many trim options and added features. If you are undecided on which vehicle is right for you, we have a full team of professional salespeople that know our inventory inside and out, so we are a great resource to answer any questions that you might have. Our experienced sales staff is eager to share its knowledge and enthusiasm with you. We encourage you to browse our online inventory, schedule a test drive and investigate financing options. You can also request more information about a vehicle using our online form or by calling ​786-373-4298. If you don’t see a particular vehicle, click here and complete the form. We will gladly inform you when a matching car arrives. If you’d like to see a vehicle in person, click on Dealership: Directions for step-by-step driving instructions to our site, or give us a call. We look forward to serving you!